Product Details - Capacity - 12 Pads , Suitable - Small Breeds Dogs. 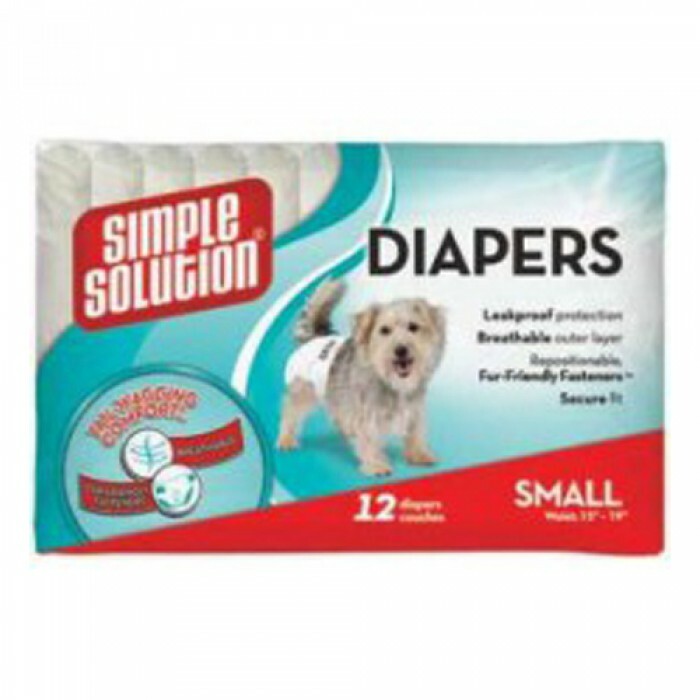 Product Information - Simple Solution Disposable Diapers. 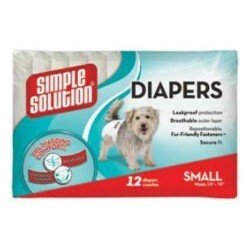 Each diaper absorbs wetness and eliminates messes from excitable urination, incontinence, male marking or for puppies that are not yet housetrained. Each.